Last week I wrote about how the Three Wolf Moon t-shirt was becoming a viral hit after comedy reviews were left on the Three Wolf Moon Amazon.com listing - however the buzz has just kept on growing. 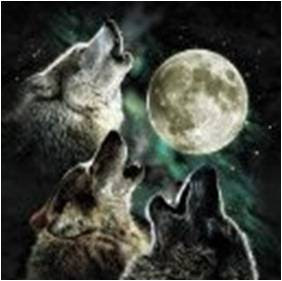 There are now over 700 comments on the Three Wolf Moon Amazon listing, ABC News have featured the Three Wolf Moon t-shirt story and a YouTube video featuring a Three Wolf Moon song has been created (based on music from Pocahontas.) Sales of the Three Wolf Moon tshirt have jumped from one or two a day to over a hundred an hour - more than all the other t-shirts on Amazon combined! Photos of celebrities and prominent figures wearing the Three Wolf Moon t-shirt are also now appearing all over the web and further driving the buzz. 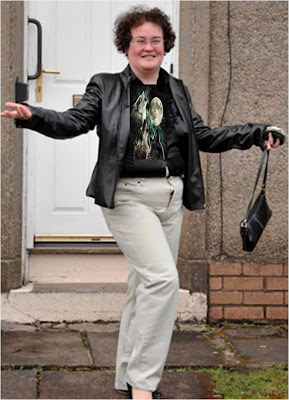 Digital Examples features a number of Three Wolf Moon photos from Amazon, but it is simple for anyone to super-impose the Three Wolf Moon image onto a photo - maybe this is the real Susan Boyle makeover! So how long before the Three Moon Wolf cool factor / irony factor wears off? And why can't we buy them in the UK yet???? We ship the 3 wolf moon t-shirt and we have sent plenty of them to the U.K.
Just purchase it from Pierce This 2 on the Amazon listing & we will ship to the U.K. and all countries.